The upcoming premiere of the movie Suffragette reminded me of how women lobbying for the vote wore jewellery to make a point in the polite and wealthy circles of Edwardian England. 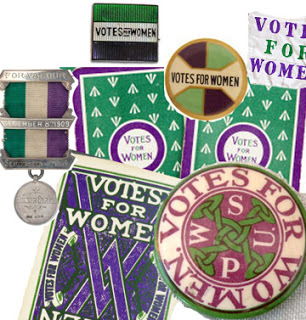 The cause was so popular that London jeweller Mappin and Webb, which supplied pricey baubles to royalty, also featured suffragette jewellery in a purple, white, and green stones. 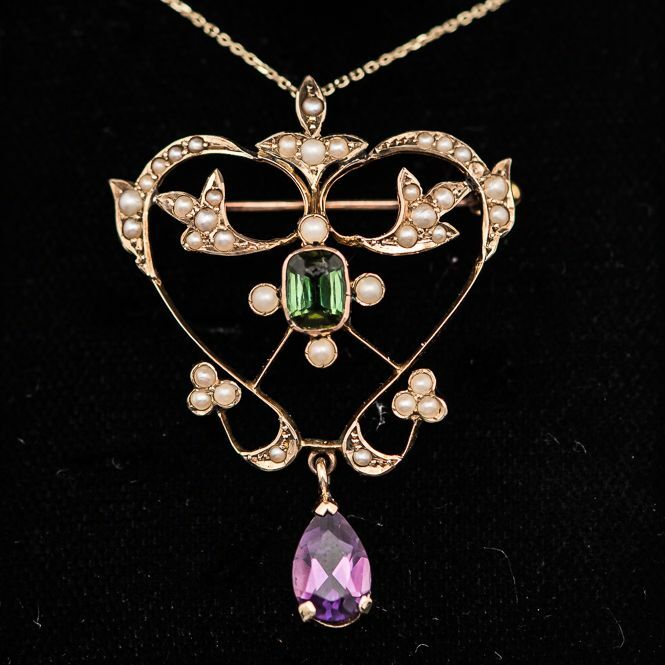 Often a combination of pearls, amethysts, and peridot or tourmaline. It’s not surprising they designed gems for a cause since jewellery has always been symbolic. 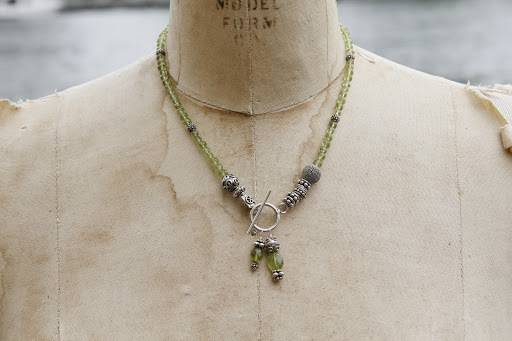 Ask someone about necklace or a bracelet and you’ll often find it comes with a story. Many of us wear earrings or a pendant to important meetings as a talisman – something for good luck. Or it can be used to mark important milestones in life, like a wedding, a graduation, or a new baby. And jewellery has always been a way of showing your colours literally. Rings and pins are often used to signal membership in a group. Which is what the astute British suffragist Emmeline Pankhurst had in mind in 1908 when she made purple (dignity), white (purity) and green (hope) the colours of women lobbying for the vote. They decorated badges, flyers, and flags and soon the colours were found in hat ribbons, scarves, and jewellery. I like to think it was because they realized that there’s no reason to believe that running the world should preclude being stylish. I’ve always been amazed by the courage of these women. They were beaten, jailed, and tortured in that fight to earn a vote, a privilege that 40 per cent of Canadians now ignore in most elections. Although that hard-won battle for the vote may also explain why more women than men vote in Canada and the U.S.
As a nod to the suffragettes, I’ve made some earrings in the purple, green, and white combination along with some layering necklaces with amethyst, peridot, and pearl-and-moonstone. They’re lovely pieces individually, but you can layer them with your other purple, green, and white jewellery when you’re in the mood to show your colours. 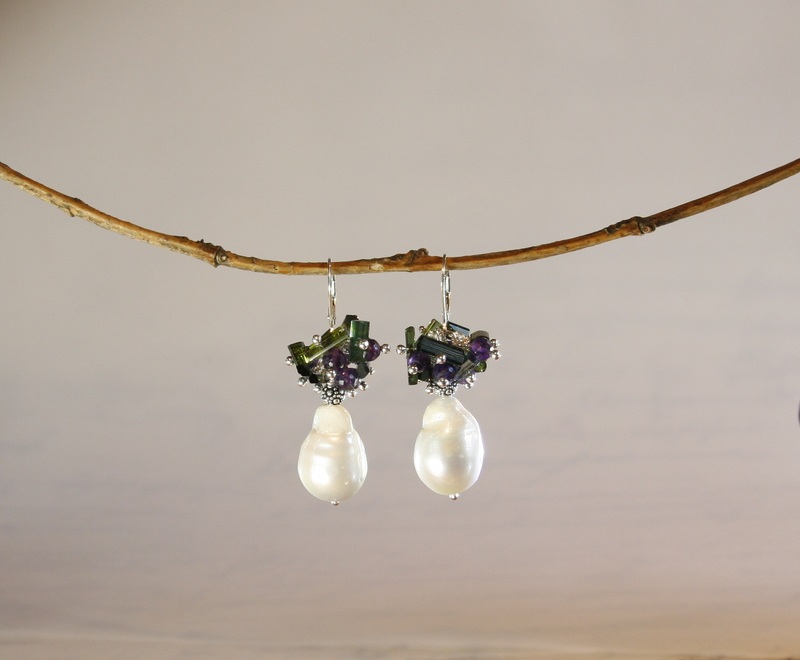 The Suffragette’s Earrings: slices of green tourmaline and amethyst crown a pair of bold, baroque pearls. Limited edition, special order, $250. 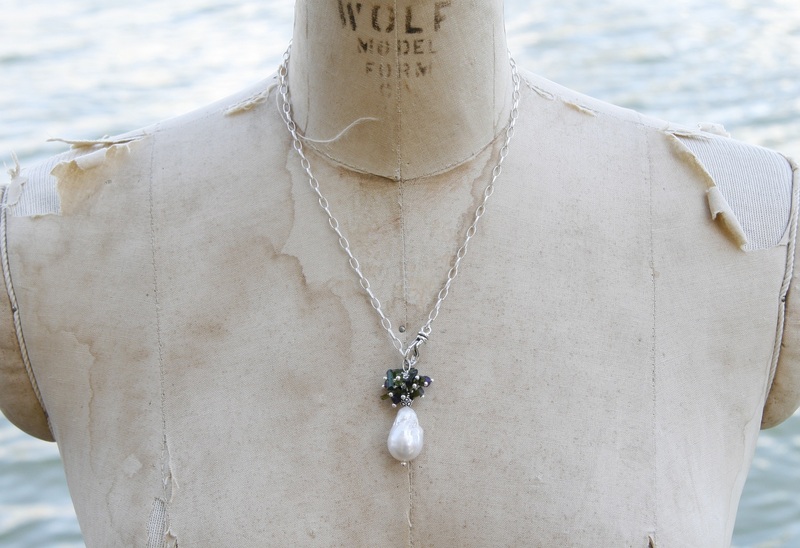 The Suffragette’s Pendant: slices of green tourmaline and amethyst crown a bold baroque pearl. Limited edition, special order, $345. You can also put individual layers of the colours together. 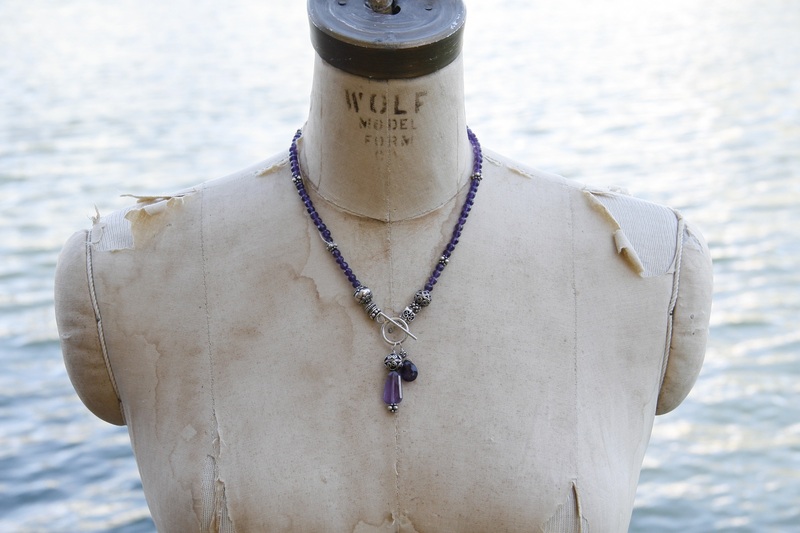 And it also comes in purple amethysts. Special order, $225. My motto has long been, “speak softly and wear a big necklace.” So as a silent salute to the women who won us the vote, I plan to wear some of my suffragette necklaces when I go to the polls.